Concept Software Sdn Bhd - We specialize in SQL accounting & billing, SQL inventory, SQL mini POS, SQL payroll, SQL fixed asset management, POS system hardware, etc. Concept Software Sdn Bhd was formerly known as Bean Computer Centre. The company has been in operations since 1998 and specializes in providing children and adults computer course. 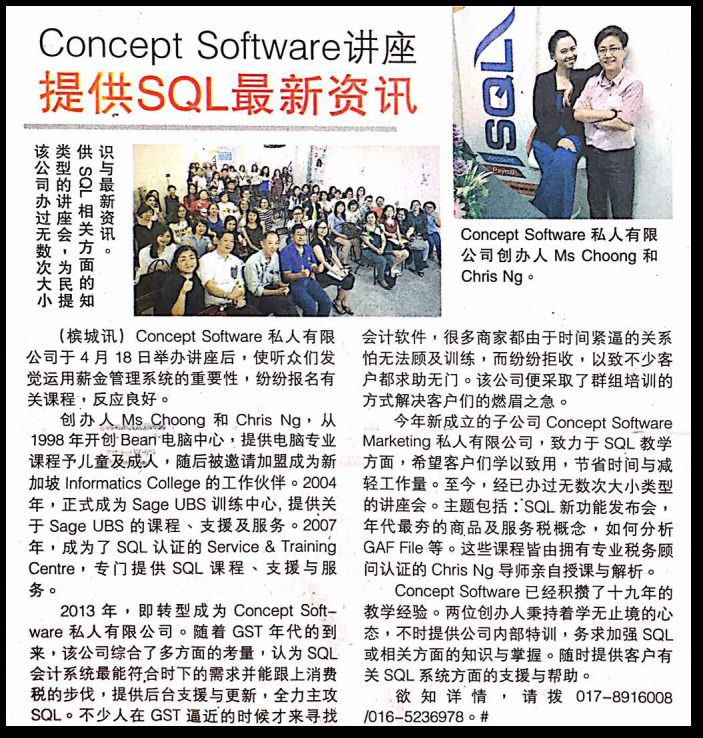 In 2002, our company has partnered with education providers such as Singapore Informatics College. After 2 years which is 2004, our company has been certified as Sage UBS Training Centre, providing sales, training, support and service of Sage UBS products. We have been certified as Training & Exam Centre, providing sales, training, support and service of SQL products in year 2007. 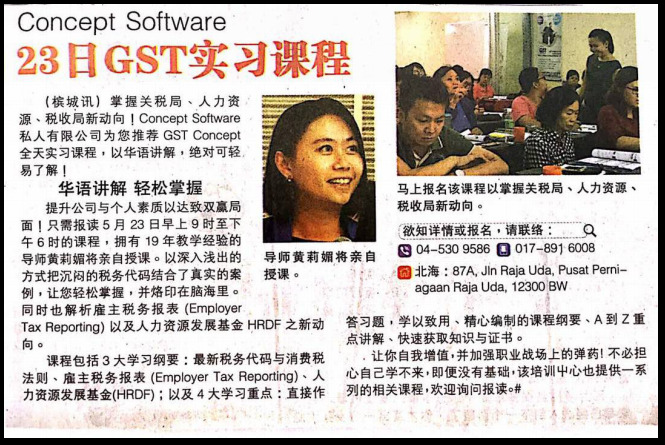 We also have been invited to be the trainer for accounting firms such as NEW KBB Solutions, PREMIER Accountancy, TAN JOON HUNG & Co. Chartered Accountant, MC F'NG Consultancy, and NCTS Consulting in delivering UBS course training and certifications. In 2010, we operate our first branch which located in Butterworth in order to cater over 600 satisfied customers. We have established Concept Software Sdn. Bhd. 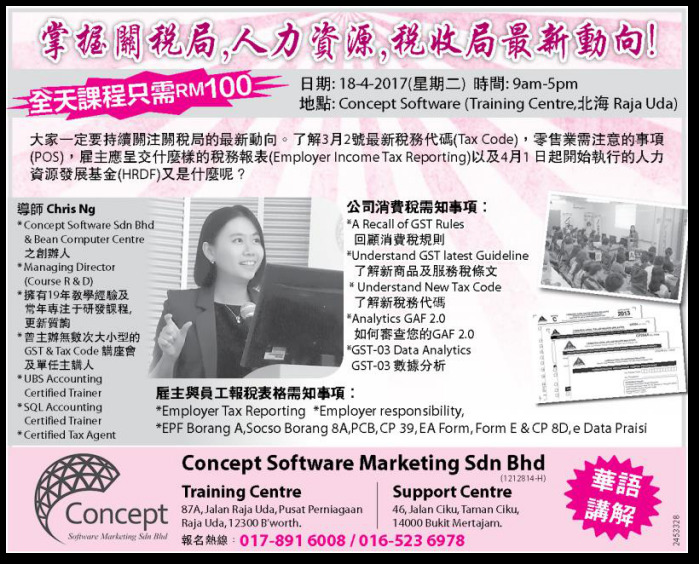 in 2013 and Concept Software Marketing Sdn Bhd in 2017. 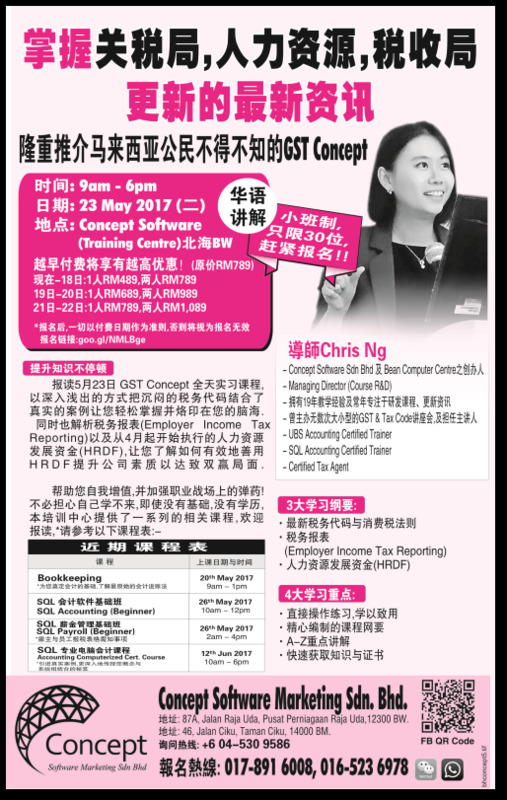 With more than 19 years of vast training experience and coaching, Concept Software Sdn Bhd has provided UBS and SQL certifications to various backgrounds covering students, lecturer, professionals, accountants and business owners to master the UBS accounting software. 46, Jalan Ciku, Taman Ciku, 14000 Bukit Mertajam, Penang, Malaysia.